This year, parents of nearly 16,000 children in the U.S. will hear these 4 words: "Your child has Cancer." St. Jude Children's Research Hospital is leading the way the world understands, treats and defeats childhood cancer and other life-threatening diseases. Treatments invented at St. Jude have helped push the overall childhood cancer survival rate from 20 percent when the hospital opened in 1962 to more than 80 percent today but while there have been tremendous advances in science and survival odds, the need for support is greater than ever. 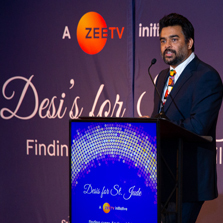 Zee TV's "Desis for St. Jude Fundraising Gala" was held on Saturday, April 6, 2019 at The Gallery at Dream Downtown in New York, New York which was packed to its last capacity which included some of the most influential South Asians in attendance. The spectacular highlight of the evening was guest of honor R. Madhavan's red carpet entry as he walked in with St. Jude patient, Smyrna. Just a day before the gala, R. Madhavan visited the St. Jude Memphis, TN, campus facility. During his visit, he was able to experience firsthand the depths of St. Jude's current cancer research. Madhavan was deeply impressed by the state-of-the-art facility, and its direct impact on children's lives and their families. During the gala, he was able to put into words a powerful 15-minute speech about this experience and about how critical St. Jude is to children's cancer research. It was definitely a pivotal point in the event. The young cancer patient entered the stage sharing her emotional story with the audience, who was riveted by her words and moved to tears. Perhaps the most surprising and delightful element for everyone in attendance was most talented artist, Vilas Nayak. He made three live paintings of Lord Ganesha, Lord Krishna & Mahatma Gandhi, each in a rapid five-minute succession. All the three paintings were most contested items for the auction. 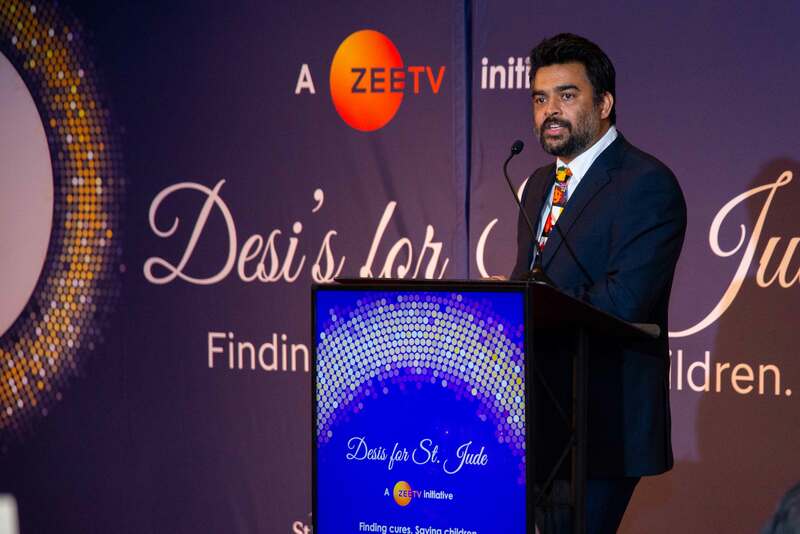 Together, Zee TV & St. Jude have demonstrated what the power of collaboration & support can do. Families never receive a bill from St. Jude for treatment, travel, housing or food - because all a family should worry about is helping their child live. All proceeds & donations from this gala will be given to research for curing & ending pediatric cancer.